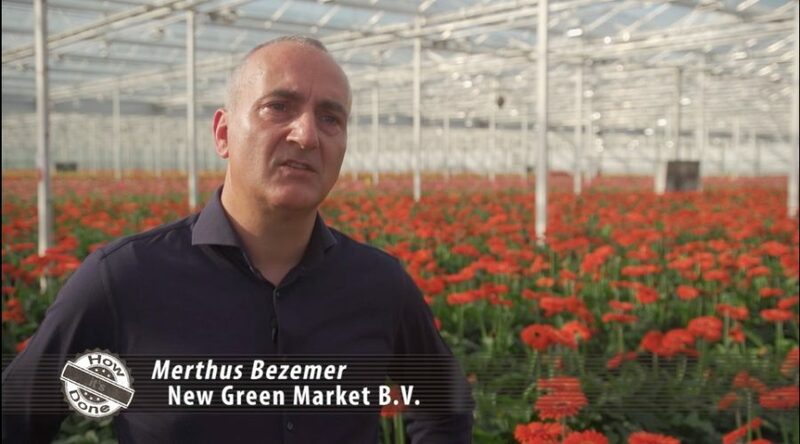 On Saturday, 16 June 2018 at 5:00 pm, a special floriculture episode of RTLZ’s “How It’s Done” will be broadcasted. On the initiative of the Dutch RTLZ, this episode will revolve around digitisation in the ornamental plants and flowers sector. Its objective is to showcase a number of innovative and disruptive marketplaces in the ornamental plants and flowers sector. It is already possible to look up products on the NGM marketplace according to specific customer wishes, which is a functionality that, thanks to customer input, is undergoing further optimisation. In addition to the options offered by NGM in the trade of flowers and plants, the RTLZ programme will discuss logistics and their role as an important pillar. New Green Market is ready to launch a logistics solution (including the coordination thereof) for use by both growers and buyers. Buyers and sellers will be able to easily state when and where they wish to have their flowers or plants delivered. As part of this process, the NGM marketplace will utilise a track and trace system to show the phase in which the delivery is. This episode of “How It’s Done” will be broadcasted on Saturday, 16 June at 5:00 pm on RTLZ. It will be rebroadcasted a week later, on Saturday, 19 June at 1:05 pm and again on Thursday, 21 June at 10:30 am. For more information, visual material or to request an interview, please contact: Rezja Blaas, Marketing. Via +31 (0)6 54 79 5445, rezja.blaas@newgreen.market.